Oh the little things that make me smile! I keep them close. I look around me and look for them when I am feeling particularly bleh. I remind myself that I am blessed. I tell myself to be here and now. This picture includes some very special pieces. My new Kate Spade planner which had been my unicorn (unboxing video coming this Sunday! 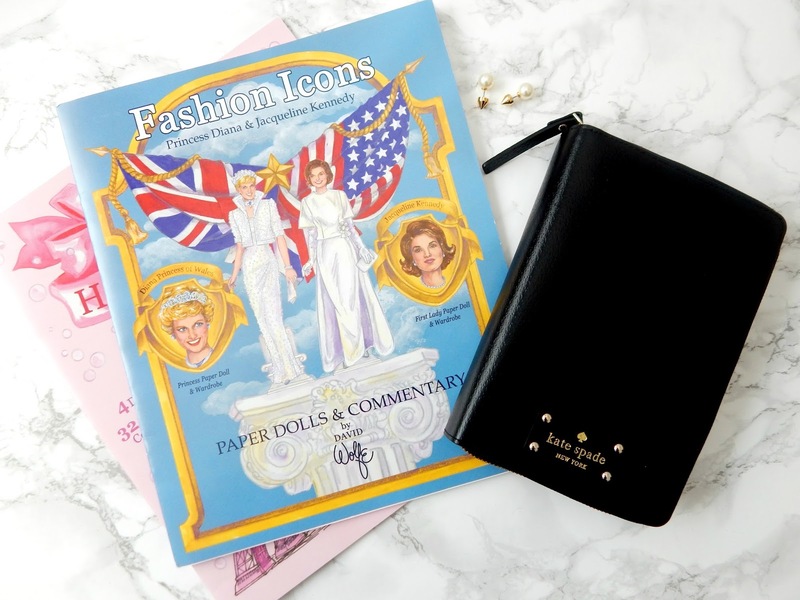 ), these AMAZING paper doll books featuring my style icon Jackie Kennedy made by the equally AMAZING and talented David Wolfe (or as I like to refer to him, MY David), and these wild studs earings from Stella & Dot that husband bought me. Blessed and loved I tell you!